There are plenty of NBA games to enjoy this Sunday, so if you are keen to bring the week to a great close, there will be no shortage of options for you. 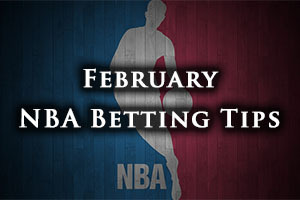 There were some enjoyable NBA games on Saturday the 21st of February, which we will cover now. The Hornets slipped up at home, losing 103-110 to the Oklahoma City Thunder. The Bulls triumphed at home against the Suns, holding on to a 112-107 win. The Clippers had an easier time of it, defeating the Kings by a score of 126-99. The biggest away win of the evening was enjoyed by the New Orleans Pelicans who grabbed a 91-105 win away to the Miami Heat. The Houston Rockets were strong at home to the Raptors, defeating the Toronto side by a score of 98-76. Some teams benefit from the All-Stars break, giving them a chance to let injuries heal and find a new resolve for the second half of the campaign. However, some teams struggle to get back into their rhythm, which may be the case for the Wizards. They suffered a crushing defeat in their most recent game, losing by 38 points which is their heaviest defeat at home in 40 years, and it was yet another game where they lost out to a rival in the Eastern conference. The Wizards hold a 33-22 record which includes a 13-13 record on the road. Having lost their last 2 games, they hold a 3-7 record in their last 10 games, which is certainly a poor return. They face the Pistons who hold a 22-33 record this season, which includes an 11-18 record in Detroit. The Pistons won their most recent outing and they hold a 5-5 record in their last 10 games. For average points scored and allowed, there isn’t much between the two teams. The Wizards hold an advantage for average points scored, 99.5 to 98.3 while the team from Washington also hold an advantage for average points allowed, 97.9 to 99.6. The Wizards were trounced by the Cavaliers on Friday night; the Cavs winning 89-127 but the Pistons had a good home win against Chicago, defeating the Bulls by a score of 100-91. The Wizards are likely to be without Bradley Beal while they are monitoring Kevin Seraphin and Kris Humphries on a daily basis. The Pistons are monitoring Tayshaun Prince on a daily basis while Caron Butler and Cartier Martin are big doubts. This game could go either way so taking the Wizards at -1, with odds of 1.90, is likely to be a decent Sunday bet. Bet Now! When the Hawks last took on the Bucks in Milwaukee, they grabbed a big win which set them off on their longest winning streak in the history of their franchise. They will be looking to do the same after suffering an 80-105 loss to the Raptors on Friday night. They will be facing a Bucks team who defeated Denver on Friday by a score of 89-81. The Hawks hold a 43-12 record this season which includes an 18-8 record on the road. With two defeats in their last two games, it has been a rough time for the Hawks who hold a 6-4 record in their last 10 outings. The Bucks hold a 31-23 record this season, including a 16-10 record at home. They Bucks are on a winning streak of 4 and their 9-1 record in their last 10 games is highly impressive. For average points scored, the Hawks have an advantage, 103.0 to 99.0 while the Bucks have a very narrow advantage for average points allowed, 96.9 to 97.0. The Hawks have no significant injuries but the Bucks have a massive injury list. Players like OJ Mayo, Ersan Ilyasova, Jerryd Bayless and John Henson are all being monitored closely while players like Kendall Marshall, Kenyon Martin, Michael Carter-Williams and Larry Sanders are all said to be more serious doubts. Taking the Hawks at -4, with odds of 1.90, is likely to be the smart bet for this Sunday. Bet Now! The Cavs took some people by surprise when they snapped up JR Smith from the Knicks but since his trade in January, he has helped the Cavs to find some form. The Cavs have won 16 of 18 games and Smith is looking forward to getting back to the Garden. The joy will be tempered slightly by the fact that he won’t be able to come up against Carmelo Anthony, who is out for the campaign after having undergone knee surgery. The Knicks have a terrible record without Anthony this season, 0-14, which doesn’t bode well for the rest of the season. The Cavs hold a 34-22 record this season (with a road record of 13-13) and after having won their most recent game, they hold an 8-2 record in their last 10 games. The Knicks have lost their last 6 outings and they hold a 2-8 record in their last 10 games. The Knicks have a 10-44 record this campaign, which includes a 7-20 record in New York. It will be no surprise to learn that the Cavs hold an advantage for average points scored and average points allowed. For points scored, the Cavs have a 102.6 record compared to a 92.4 record. For average points allowed, the Cavs are 99.1 compared to 100.4. The Cavs trounced the Wizards in Washington by a score of 89-127 on Friday night while the Knicks lost at home to the Heat on Friday, the Miami side winning 87-111. Kevin love is being closely monitored by the Cavs while Alexey Shved is likely to join Anthony in being ruled out for the Knicks and Shane Larkin is being closely watched. You can see the Cavs running away with this one and odds of 1.90 for a handicap of -15.5 aren’t outrageous if you are keen to see plenty of points racked up on Sunday. Bet Now!